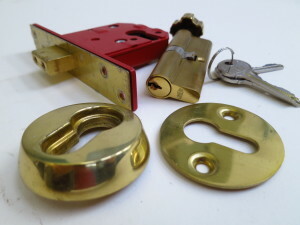 Chambers Lockwork will supply and fit a Euro lockcase, together with high security escutcheons and a security thumbturn cylinder. If you are a new tenant do you know how many keys are out there to your property? It maybe advisable to replace your lock cylinder.